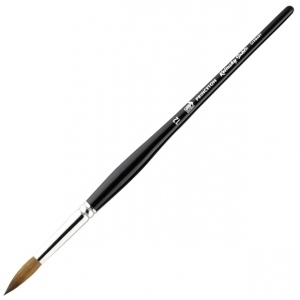 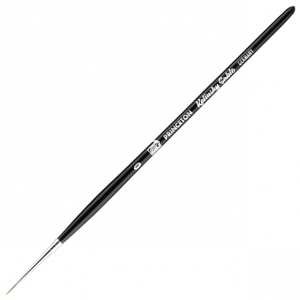 These short handle watercolor brushes are made with the finest natural Kolinsky sable hair. * The handle is finished with black lacquer and the brush head is connected by a seamless nickel ferrule. * The natural hair ensures a generous belly for maximum water holding capacity and for maintaining a controlled fine point.